Imaging systems and sensors, today and in the years to come, will act as the nerve center of Internet of Things (IoT). From contactless industrial quality controls to use in research fields conferring high resolution insights into nano worlds and the universe. The LASER World of PHOTONICS event, taking place from June 24 to 27, 2019 in Munich, will be focusing on this very imaging and sensors market and industry. The event will feature leading international drivers in this key focus area—together with a substantial congress and supporting program. At the event, more than 100 international exhibitors will be showcasing solutions in the key focus area of imaging and sensors. Presenting this technological diversity will be not just traditional companies and established SMEs but start-ups as well. They include Moscow-based DEPHAN with highly advanced silicon-based photo multipliers, the Finnish Nokia spin-off Emberion Oy with its imaging and sensor solutions based on graphene and nano materials or Braunschweig-based FiSens, which makes fiber-optic sensors using high quality Fiber Bragg Gratings. The new providers include Single Quantum from Delft, which develops superconducting nanowire single-photon detectors or XARION, offering optical microphones for industrial process control and machine monitoring. Also among the newcomers is the ELI-Alps laser research center (Attosecond Light Pulse Source) in Szeged/Hungary, set up at the initiative of Gérard Mourou, winner of the Nobel Prize in Physics. Imaging systems and dense sensor networks also pave the way both for a seamless, quality-monitored Industry 4.0, as well as smart cities and autonomous vehicles. Imaging specialist PCO AG and system manufacturer EOS have recently teamed up with user MTU to create fully-monitored, additive laser melting processes. Processes such as optical coherence tomography (OCT) and heat flow thermography are being employed to look for defects inside lightweight construction components. Providers are thus systematically expanding the range of applications by means of innovative approaches such as hyperspectral imaging and by ever greater camera system bandwidths. No sensors, no Industry 4.0—which entails manufacturers transferring ever more intelligence and computing power into the sensors themselves to pave the way for comprehensive, decentralized monitoring of manufacturing processes, smart buildings or semi-automated, medical procedures. 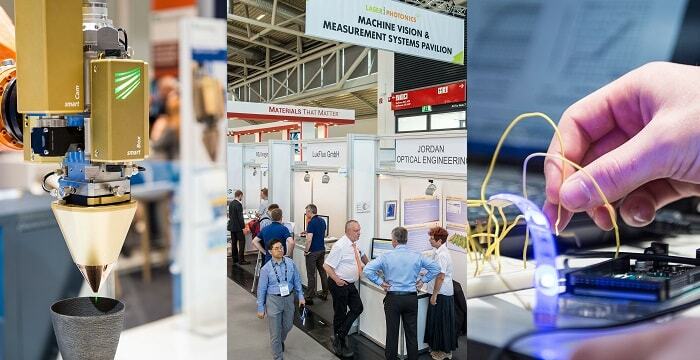 While exhibitors will be focusing on product and application trends from June 24 to 27, 2019, the trade fair’s visitors will be able to find out all about the latest research and ground-breaking applications in the imaging and sensor arena at various application panels in the trade fair halls and at the accompanying World of Photonics Congress 2019. Three of the seven Congress sub-conferences have an imaging theme. The OSA conference “Imaging and Applied Optics” deals with computer-aided optical sensors and imaging, mathematical principles and environmental influences on imaging processes. 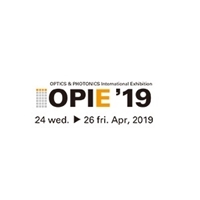 “Digital Optical Technologies” by SPIE Europe is concerned with the hot topic of mixed, virtual and augmented reality. And the SPIE “Optical metrology” conference will address the use of Artificial Intelligence and multimodal sensors, as well as automated inline inspection and biomaterials’ imaging. There will also be an expert panel on Photonics 4.0 by the SPECTARIS industry association and application panels spanning the entire gamut of modern imaging. For example, Prof. Andreas Tünnermann, Director of the Fraunhofer Institute for Applied Optics and Precision Engineering in Jena and Dr. Jürgen Stuhler, Senior Director Quantum Technologies of TOPTICA Photonics AG will get to the bottom of the future role of photons as quantum objects and as an information support in imaging and communication. Experts from the Deutsche Gesellschaft für Lasermedizin (German Society for Laser Medicine) and LMU Munich will offer insights into medical practice using virtual and augmented reality. Yet another panel involving PCO and Omicron-Laserage is given over to the expanding range of processes in laser-based light microscopy. Innovations in the fields of visual optics, optical imaging and diagnostics and laser-based medical therapies are also on the program. Click here more event info.